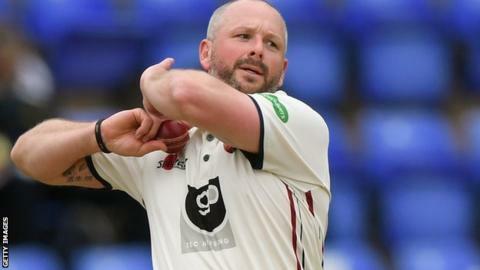 Veteran all-rounder Darren Stevens has signed a new one-year deal to stay at Kent until the end of the 2019 season. The 42-year-old, who joined Kent in 2005, has scored 14,928 first-class runs and taken 449 wickets. He made his debut for Leicestershire in 1997 and took a career-best 8-75 for Kent against the Foxes last season. Stevens hit 64 with the bat and took 4-44 with the ball at Middlesex on Monday as Kent continue to push for promotion from County Championship Division Two.